Biscotti is a crispy twice baked Italian cookie that originated from the city of Prato. It is a twice baked cookie that is very crispy, due to the twice baking, but is meant to be dunked into your coffee or tea. 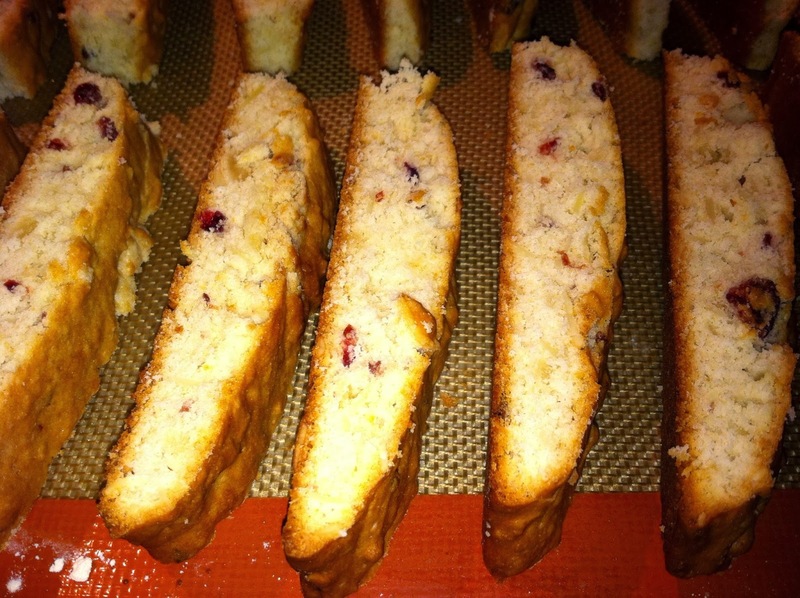 I made these using an almond paste and adding almonds and cranberries. I usually dip one end of the cookie with chocolate for that added beauty. Actually, today I dipped all of them in chocolate. MMM, my house smells like fresh chocolate! These cookies are great to make and freeze. You can them pop them out of the freezer as needed. Trust me, your guests will not be disappointed. I used my stand up mixer to incorporate all of these ingredients. First you need to grate the almond paste. In the mixer add the grated almond paste, the cold butter that has been cut into small pieces, flour, sugar, baking powder and salt. Allow to mix until it forms crumbly pieces. Now add the almonds and cranberries and mix through. In a small bowl add the egg whites and vanilla. Whisk until a bit frothy and add to the mixture and mix through. Turn out onto a floured surface and form into an oblong log. Divide this into half and form each section into about 10-12 inch logs. Place into the oven for about 30 minutes. Remove and allow to cool about 20-30 minutes. Slice the rolls into 3/4 inch pieces and place back on the baking sheet. bake for 8 minutes. Remove and turn over the cookies onto other side and bake for an additional 8 minutes. Remove and allow to cool. I also love biscotti! 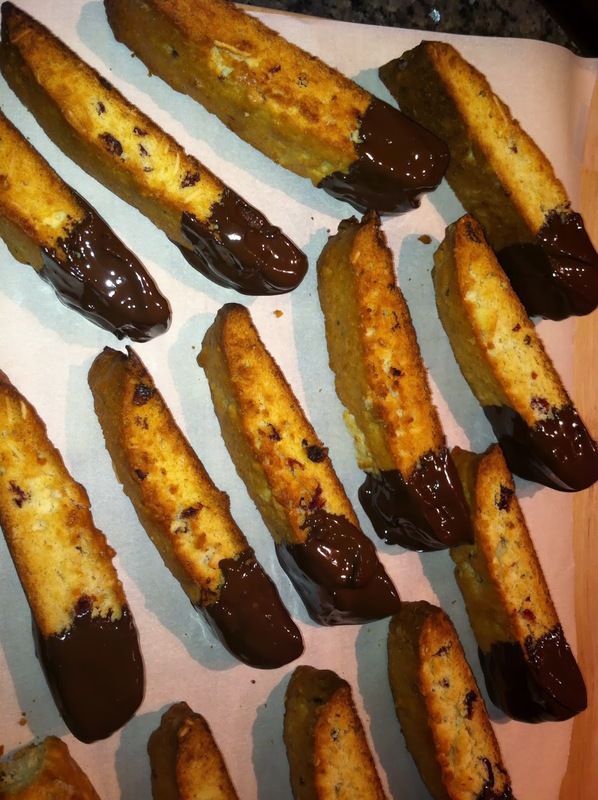 I will post another biscotti recipe I make using pistachios and dipped in chocolate of course.